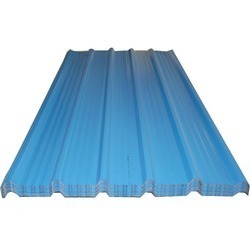 Manufacturer of a wide range of products which include pre painted galvanized sheets. We are a coveted organization that is engaged in manufacturing, supplying and trading Pre Painted Galvanized Sheets. All these sheets are coated with zinc-aluminum alloy. The coating on these sheets prevents it from corroding when exposed to other metals in the presence of air and water. Our range is best suited for use in coastal areas as it protects the steel without surface discoloration.